Tannum Sands is primarily a tourist and residential town. It has a patrolled beach  and is well known as a fishing venue with access to the Great Barrier Reef, the Boyne River and Lake Awoonga. It is a major residential area for the nearby Boyne Island Aluminium Smelter and Gladstone-based industries. The area south of the Boyne River was originally known as Wild Cattle Creek (being the name of the creek that flows through the area) and had been a popular fishing and picnic location for the people of Boyne Island, but remained unsettled due to its inaccessibility. Closer settlement began in the late 1930s when 12 beach front lots were auctioned. The town received its original name Tannum when a group of children returned from a Sunday School picnic to the beach quite sunburnt. The comment was made "we can really tan 'um over there." One of the people present worked for the Queensland Land Department thought it would be a good name for the area and registered the name. A bridge connecting Tannum Sands to Boyne Island was constructed as a result of the construction of the Boyne Island Aluminium Smelter. It was opened on 11 October 1980. Tannum Sands State School was opened on 24 January 1983. Tannum Sands State High School was opened on 22 January 1998. St. Francis Catholic Primary School was opened in 2005. Boyne Island and Tannum Sands are also home to the Boyne Tannum Hookup, Australia's largest family fishing event held on the Queens Birthday long weekend. The event is held at Bray Park. This event is very popular with more than 3,000 entrants. Boyne-Tannum has a strong sporting community with teams competing in Soccer, Rugby league, Australian Rules Football, Cricket, Touch football, Netball, Tennis, Surf Life Saving, Swimming and Hockey. The area has 2 sporting grounds, the BITS (Boyne Island Tannum Sands) club for Cricket, Football, Golf, Soccer and Lawn Bowls. While Dennis Park accommodates Touch Football, Netball and Rugby League. Within Tannum Sands itself is the Tannum Sands Tennis Association and the Tannum Sands Squash Centre. The latter also provides rock climbing and a gymnasium. Tannum Sands hosts a number of schools including a public primary school, a public high school, and a Catholic primary school. They draw students from both the local areas but also from the wider region including from Miriam Vale, Benaraby, and Calliope. Tannum Sands State School is a government primary (Prep-6) school for boys and girls at Waratah Crescent (23°57′03″S 151°21′53″E﻿ / ﻿23.9509°S 151.3648°E﻿ / -23.9509; 151.3648﻿ (Tannum Sands State School)). In 2017, the school had an enrolment of 736 students with 49 teachers (45 full-time equivalent) and 27 non-teaching staff (18 full-time equivalent). It includes a special education program. St Francis Catholic Primary School is a Catholic primary (Prep-6) school for boys and girls at Francis Way (23°56′35″S 151°21′39″E﻿ / ﻿23.9431°S 151.3609°E﻿ / -23.9431; 151.3609﻿ (St Francis Catholic Primary School)). In 2017, the school had an enrolment of 231 students with 21 teachers (17 full-time equivalent) and 15 non-teaching staff (8 full-time equivalent). Tannum Sands State High School is a government secondary (7-12) school for boys and girls at 65 Coronation Drive (23°57′35″S 151°21′51″E﻿ / ﻿23.9596°S 151.3643°E﻿ / -23.9596; 151.3643﻿ (Tannum Sands State High School)). In 2017, the school had an enrolment of 1,066 students with 86 teachers (82 full-time equivalent) and 44 non-teaching staff (31 full-time equivalent). It includes a special education program. The Tannum Sands branch of the Queensland Country Women's Association meets at the QCWA Hall at 1 Steele Street. ^ a b Australian Bureau of Statistics (27 June 2017). "Tannum Sands (State Suburb)". 2016 Census QuickStats. Retrieved 17 April 2018. ^ a b "Tannum Sands (town) (entry 44158)". Queensland Place Names. Queensland Government. Retrieved 6 October 2014. ^ "Tannum Sands (locality) (entry 47287)". Queensland Place Names. Queensland Government. Retrieved 6 October 2014. ^ a b c d e "State and non-state school details". Queensland Government. 9 July 2018. Archived from the original on 21 November 2018. Retrieved 21 November 2018. ^ "Tannum Sands State School". Archived from the original on 26 April 2012. Retrieved 21 November 2018. ^ a b c "ACARA School Profile 2017". Archived from the original on 22 November 2018. Retrieved 22 November 2018. ^ "St Francis Catholic Primary School". Archived from the original on 21 December 2018. Retrieved 21 November 2018. ^ "Tannum Sands State High School". Archived from the original on 28 October 2016. Retrieved 21 November 2018. 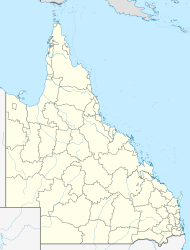 Wikimedia Commons has media related to Tannum Sands, Queensland.